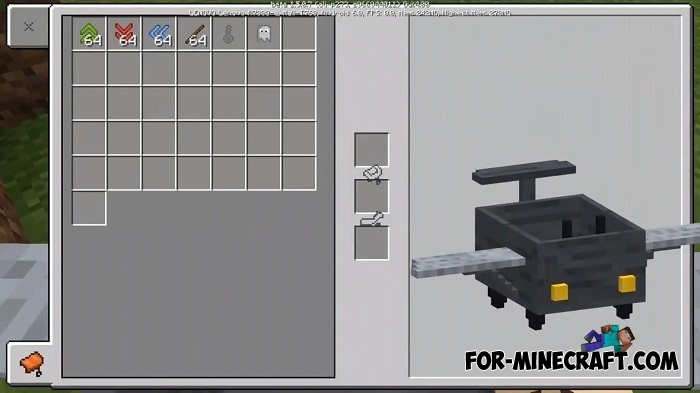 Have you ever flown on an airplane in Minecraft Bedrock Edition? To be more precise on a tiny aircraft like an improvised aircraft assembled from a minecart, wings and some details. In fact, the Mini-Airplane is not quite easy to operate and requires the pilot a certain level of aerobatics. 1) The aircraft has special levers allowing you to take off or land on the ground. The principle of their work is similar to the usual buttons, but you will have to activate them in turn by selecting them in the inventory. 2) The airplane will not fly unless you insert a key. Take the key and put it on the plane and then go to the control. 3) The aircraft has a secret ghast mode that allows the pilot to fly through the objects, but so far this function is in beta stage, do not get carried away by it. 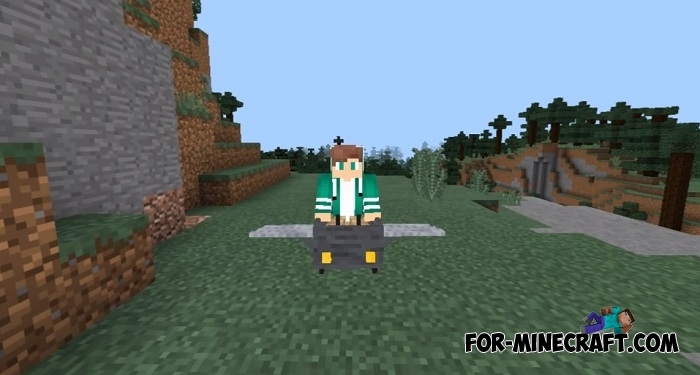 In appearance, the Mini-Airplane is similar to the aircraft from the Vehicle Pack which additionally offers players several vehicles built in one style and designed as an addon for MCBE. 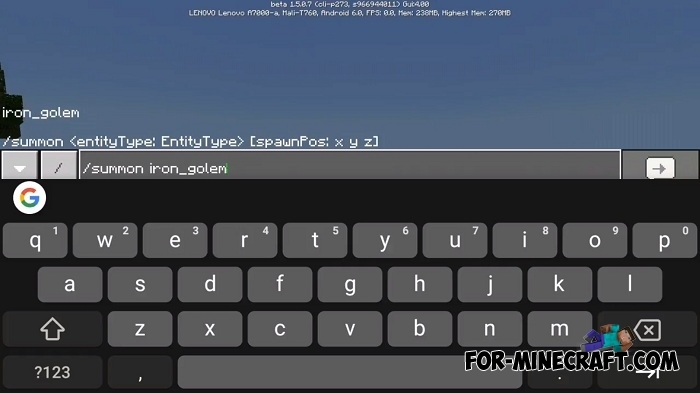 How to install the Mini-Airplane addon?